I just watched this interview that Matt Lauer did with Tim Russert's son, Luke, and it totally made me cry. If I were him, I'd be a bawling mess, but he's incredibly well-spoken and surprisingly upbeat. I'm sure he's still in shock and overwhelmed by the outpouring of grief. 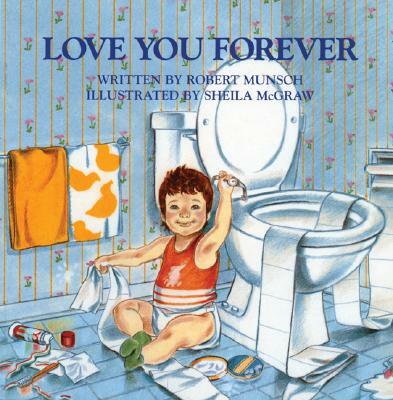 Anyway, watching this made me think of boys—sons, really—and that made me think of the best baby book ever called Love You Forever. My aunt gave it to my sister when Jack was born and I was there when she read it for the first time and we both started crying. Have any of you read it? I think it's sold like 15 million copies since it was first published in 1986. If you know someone who is pregnant with a boy or someone who has a baby boy, you have to get it for them.